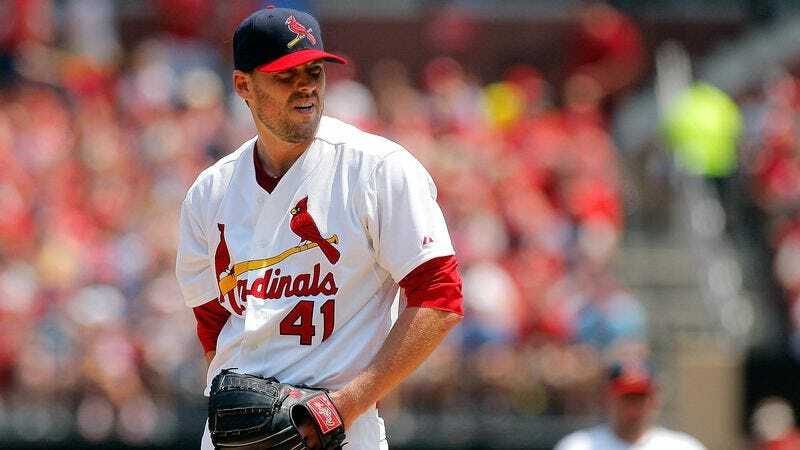 ST. LOUIS—As part of their ongoing effort to give back to the community, the St. Louis Cardinals announced Friday that the team will be donating $1,000 to charity for every batter that starting right-hander John Lackey hits with a pitch. “The Cardinals organization has always sought to lend a hand to those in need, so in that spirit, we will now be contributing to a number of national and local charities every time John plunks someone on the numbers,” Cardinals team president Bill DeWitt III told reporters, noting that the initiative will run through the end of the season, with the ultimate goal of $50,000 raised for good causes. “Whether John tags a batter in the back, beans him right on the helmet, or even just hits his arm with a pitch that’s high and inside, we’ll be writing a check. We hope these worthy charities will be able to do a lot of good with this money, and we’re fully confident that John will do his part.” DeWitt went on to say that the franchise would also be pledging $10,000 to the St. Louis Children’s Hospital every time a player on the opposing team charges the mound and sparks a bench-clearing brawl.